Simplifying Christmas is a challenge because it is a holiday rich with history, religious significance, the amazing birth of Jesus, so much tradition, its own music, recipes, baking, decorating, entertaining, Santa, reindeer, elves, snowmen, mistletoe, holly, family get-togethers, cookie exchanges, gifts for coworkers and teachers, the perfect gift for your spouse and kids, and maybe stress all rolled into one glorious day! Let's stick with the religious significance of the day to start! Christmas is the celebration of the birth of Jesus. Most of you know the story. For many of you, that simple story has changed your entire life! I know Jesus has greatly changed my life! Many churches have special services! It's a fun tradition to spend time remembering the birth of Jesus, with your family! If you have not heard the Christmas story, you can watch the following video with music from Michael W. Smith, who is a contemporary Christian singer! Not everyone has the same religious experiences as me! We all have our own traditions for the Holidays! So many differences and decisions, but the mood is celebration. you might need to answer the following questions! What is the perfect tree; real or fake? When should you open gifts; the evening of the 24th, or the actual day? Should you send out Holiday cards or not? Is it okay to send them really late and how late is too late? Valentine's Day? How many different cookies and sweets are you going to bake this year? Should you do ham or turkey for dinner? Should you reach out to someone who is needy this season, and how can you do this? Where are good places to donate gifts for needy families? Which ugly holiday sweater should you wear this year? Which evening service should you attend, or will you stay home and enjoy your extended family? Is there such a thing as a perfect gift and where can you find it fast, maybe even on the 24th? Why do gifts seem so much better before they are unwrapped? Why is there a feeling of letdown once the gifts are opened and you got everything you wanted? Who is Santa really and where did he come from? Should you decorate your tree with all of the sentimental ornaments, when you could make a theme tree that is much prettier? Should you bother getting out your china for the holidays, when you have to hand-wash them? Which home-made gifts should you prepare this year? Gag gifts or useful ones or edible treats like granola or jams? Will anyone remember that you love, love, love, black jelly beans and would love a stocking full of them? How many lights must you put up to be enough? Do you really have to get out all of the village stuff and set it all up? Forget the train? Which holiday music will your son pick out for you to listen to? Will the power go out like it did a few years ago? There are so many questions that can run though your mind before this special day, that you might feel overwhelmed! By the time Christmas rolls around, you dread the day. Too much work and possible disappointment! So much food to prepare and unending dishes to wash, unless you simplify and delegate, and maybe change your idea of what this day really means! Figure out all of your meals way beforehand and delegate! My son has been working at Trader Joe's for his college years. For the past few years, he buys our Christmas Eve meal. We just do finger foods and it is very fun. He gathers a variety of foods we have never tried and we splurge. I provide a few veggies for dipping and he does the rest. 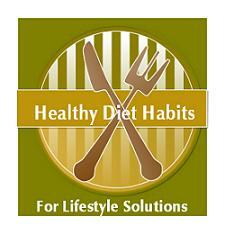 It is so helpful and we have found many new love foods! It is simple. We do not do fancy serving dishes, just serve from the wrappers. It's a new tradition we love, and it's his deal totally, and a great help to me. Prepare all meal items beforehand and keep it simple! This is not the time to try out fancy new dishes and show off. Keep it simple and use your favorite stand-by easy dishes and holiday food. You can't go wrong with a ham, baked potatoes, salad, fresh green beans and a pie, a Costco pie will do too! This meal is easy, delicious, and will allow you time to enjoy the day. Prepare your breakfast meal the night before. We usually buy frozen chocolate croissants, and I set them to rise the night before. I prepare an egg bake that is simple. I simply stick them both in the oven while we are opening gifts, and we have tantalizing smells coming from the kitchen. Delish and no slaving away! It's my day too! Skip lunch and have an early dinner. If anyone can't wait, they can dig into the leftover goodies, but they must clean up their mess! Keep it simple is the lifestyle solution that you want to adopt. This is a holiday about celebration, whatever your religious beliefs! Celebrate and enjoy the day with your family. Develop easier traditions, and ones that actually mean something! Last year my friend and her family prepared 30 gift bags full of a McDonald's $10 coupon, socks, toiletries, and candy, and handed them out to homeless men in Seattle! It was their favorite memory and changed their holiday! Look for those activities to engage in and be surprised when Christmas Day looks a whole lot brighter! 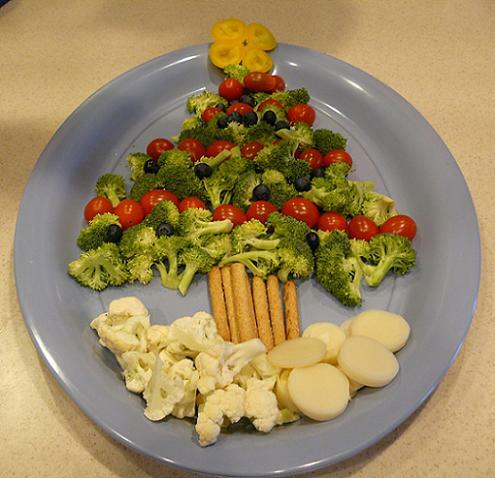 Healthy Holiday Tips related to food, habits, and coping for the holiday season!